On Saturday September 7th, something extraordinary happened in Oakland. Hundreds and hundreds of people came together to stand up to UPMC and demand that the healthcare giant do right by the people of Pittsburgh. 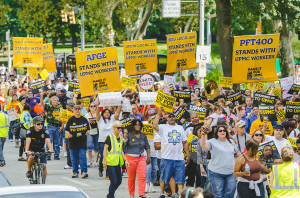 Faith and labor leaders, elected officials, UPMC workers, bus riders, teachers, patients, taxpayers and students demonstrated their unity and resolve when they sat down as one on Fifth Avenue to sing “Amazing Grace,” a hymn about ending injustice. 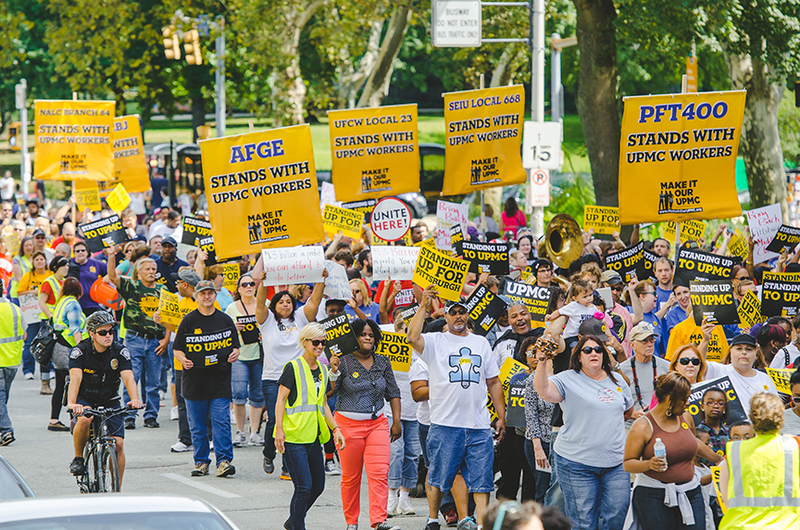 Watch WTAE’s coverage of the march here. UPMC is our largest employer, our largest health care provider, our largest landowner and our largest charity. Together, we are united in saying that UPMC can and must do better for our city. UPMC must use its power to provide care to all who need it, to help fund excellent schools and public services and to help grow our middle class by providing family-sustaining jobs. 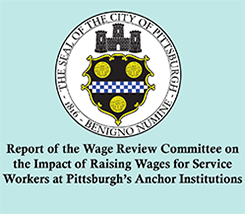 We say UPMC must stop firing and harassing workers who want to raise themselves out of poverty. UPMC must stop threatening to cut off care to patients who have the “wrong” insurance. UPMC must stop hiding behind frivolous lawsuits to avoid paying its fair share of taxes. Together we can make UPMC act like a real charity. Nearly 1000 individuals have signed onto the Code of Conduct to demand that UPMC stop its bully behavior and start acting like a real charity. Add your voice – Sign the Code of Conduct – and demand UPMC act like a real charity. Together we will Make It Our UPMC! The evil empire of Pittsburgh. Had a good friend who was a nurse in the system, they started giving her grief for not working enough overtime while her father was sick and threatened to fire her for not working a second shift the day he went into the hospital. She was told that UPMC is the only game in town, get used to it. She quit and found another job two days later for more money. I dread thinking what would happen if they were the only game in town. I am in charge of our company’s insurance, they have a better chance of seeing God than me changing from Highmark to UPMC. There is a reason that competition is good, let’s hope some stays in Pittsburgh! UPMC needs to start playing by the rules and stop bullying the entire region surrounnding Pittsburgh. They buy up regional hospitals and the want to declare that their’s is the only health insurance that they will except in network. Shame on UPMC and their leaders. Monopoly (or near monopoly) is not good for anyone other than the monopolist. I do not understand why UPMC is acting this way. Treating their workers is low, but also to refuse to treat people at their hospitals because they have Highmark is evil! UPMC has hospitals and insurance and everything was good to them, but when Highmark helped keeps hospitals open, they are the mean, evil, bad guys. Umm, UPMC, you did the same thing and you do not want to “share”? Someone didn’t teach you to treat others as you would like to be treated. Shame on you! I used to work for UPMC and know first hand the bullying tactics management uses. It’s a shame UPMC has stopped to this level. Greed is the name of their game. Their greed has to stop some where and it better be here. Hey Pittsburgh. A real city has real jobs. Real jobs demand business travel. 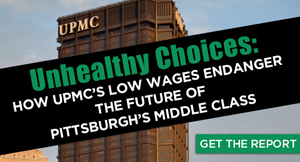 Now Pittsburgh is the only town where you can’t get genuine health care coverage both at home and during business travel, because greedy UPMC has hijacked health care in Pittsburgh. Why would anybody want to set up shop in a place like that? Shame on UPMC!